The Berlin Philharmonic was formed in 1882 when a group of 50-some musicians broke away from another orchestra after being asked to travel in fourth-class train accommodations for an upcoming tour. The spirit of camaraderie and rebellion felt at the orchestra’s onset may have informed musicians’ subsequent decision to be a self-governing ensemble. Today the Philharmonic is a public foundation; musicians direct program decisions, finances, touring plans, and also elect their principal conductor. The ensemble is considered one of the world’s finest. Sir Simon Rattle is the group’s current Chief Conductor. The Berlin Philharmonic has an extensive discography of recordings on traditional media. 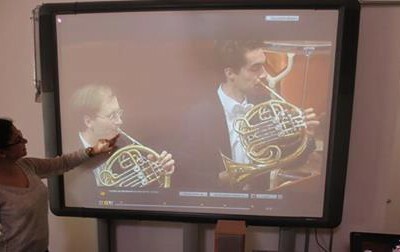 In 2008 the orchestra created its Digital Concert Hall (DCH). Through this platform the orchestra streams both live and archived concerts to global subscribers. From inception the DCH has offered high bps audio and high-definition video to allow aficionados to experience concerts in their fullest possible representation. Streams also adjust automatically based on the quality of the user’s Internet connection. Just as new concerts are being live-streamed and added to the DCH archive, so too are older concerts being added, building a comprehensive history of the Berlin Philharmonic over the past 50 years. Since launch, the DCH has broadened its media programming to include films, interviews, and special events. From time to time, concerts are released free to the public, such as a trove of archival concerts offered in January 2014 when former Chief Conductor Claudio Abbado died. The DCH is primarily a subscription platform, however. The New York Times reported in March 2014 that DCH had 18,000 subscribers at that time. Rates vary from 10 Euros per week to 20 Euros per month, with discounts for new subscribers and students. More than 400 concerts are available in the archive and new concerts are added throughout the orchestra’s season. Media beyond the DCH include a robust website, and engagement with social media channels including YouTube, Facebook, and Twitter, among others. During the 2016-17 season the orchestra will transmit live concerts into theaters worldwide with four varied concerts during August 2016, December 2016, March 207, and June 2017. 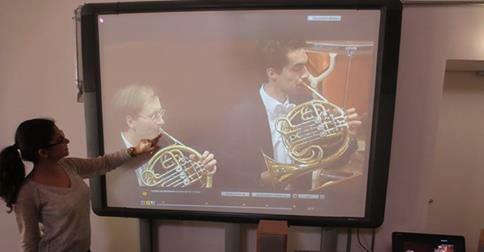 An app available for iPad and iPhone brings the Digital Concert Hall to mobile devices. 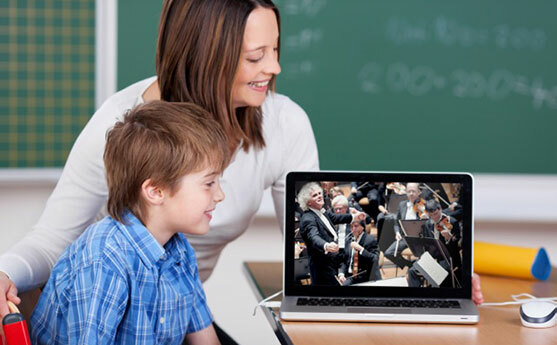 The orchestra also releases its educational concerts and programs free of charge, with registration.